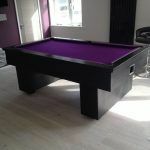 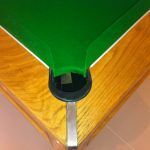 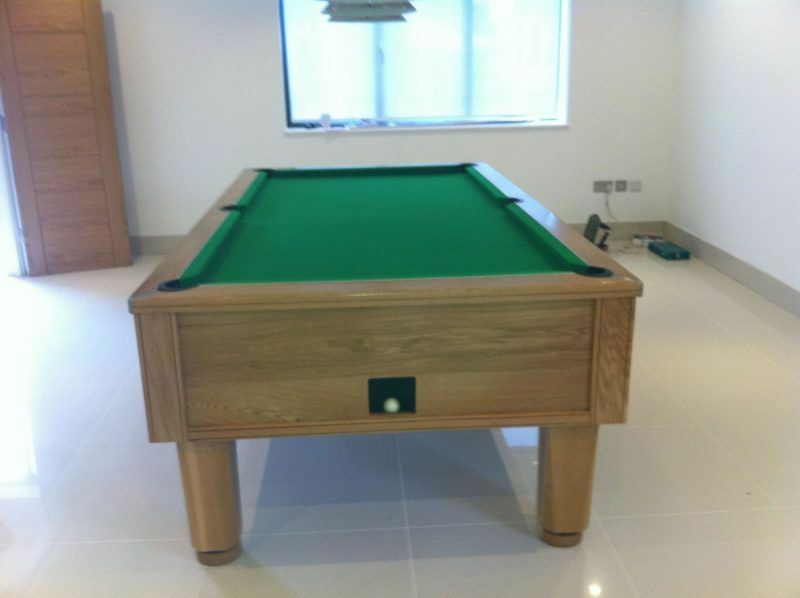 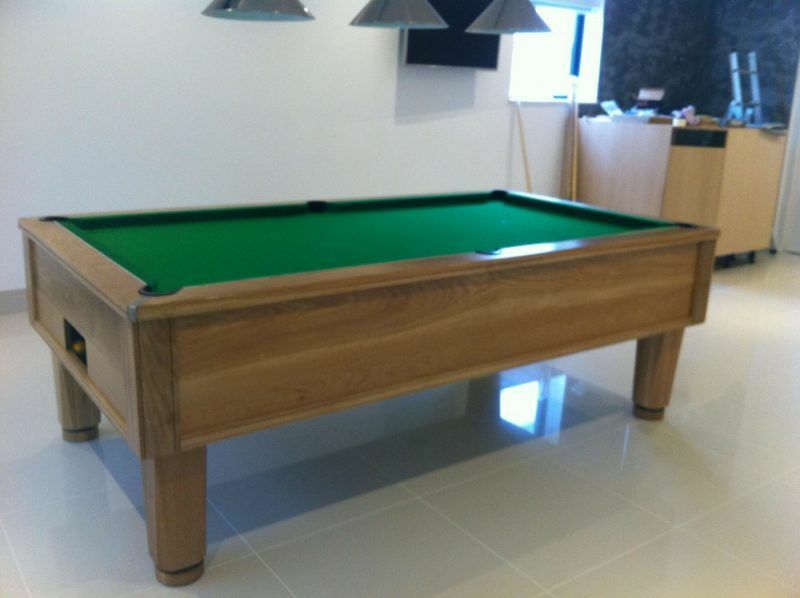 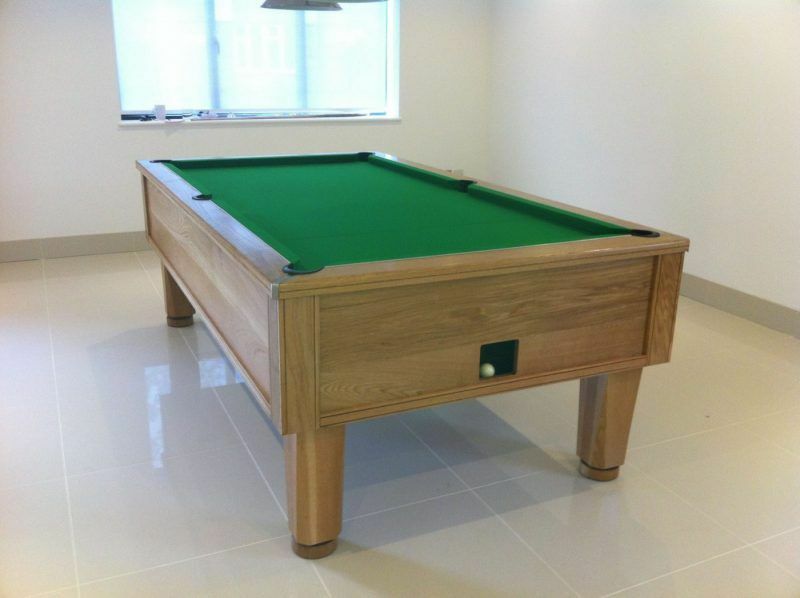 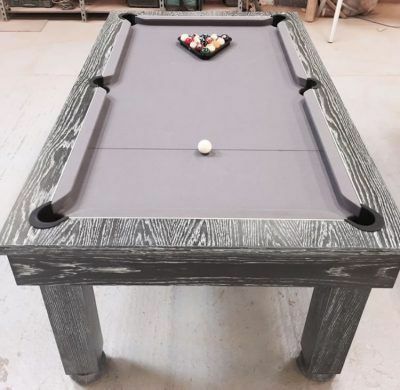 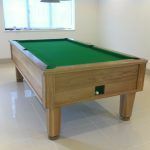 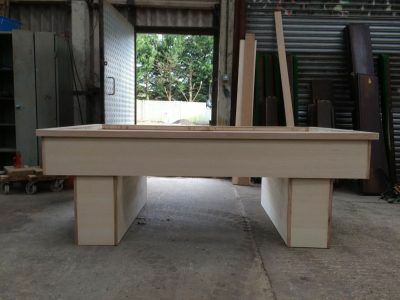 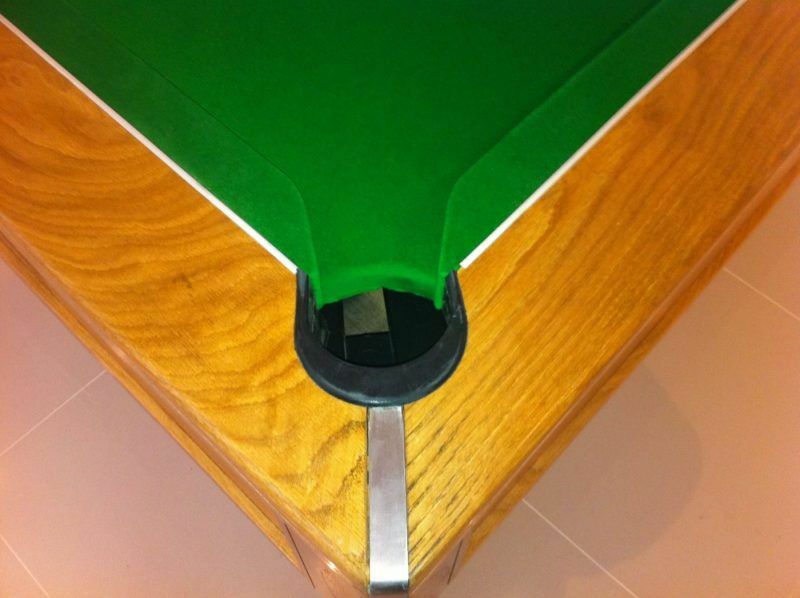 8ft solid oak pool table, with separate white ball return, and brushed chrome trims. 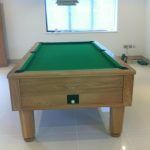 It stands on 4 solid oak, tapered legs. 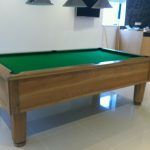 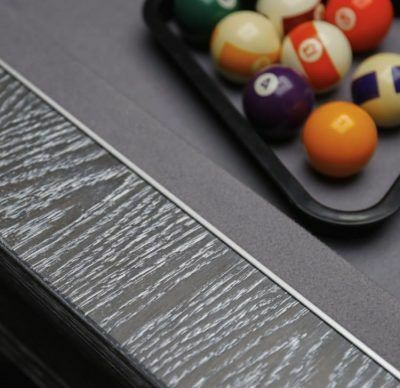 This table can be manufactured to your specification, be it 6ft, 7ft or 8ft English pool slate size.